Children’s Books Where Your Child Is The Hero In The Story! Now available with voice recording! 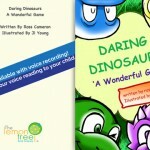 Record your voice reading the stories to your child. All 8 books for one price – no in-app purchases – and you can change the name every time you want to read a story! 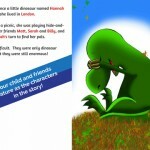 This app is a library of personalized stories featuring your child and their friends as the main characters. 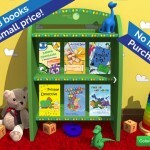 You get all the books to choose from and your child can change the name of the characters at any time. We are passionate about getting children to read every day and what better way to ignite your child’s imagination than by making them the main character in the story? Your child can be a Daring Dinosaur, go on a mission with a secret agent Teddy Bear or even be one of Santa’s Elves. Read these fun stories and help your child discover the joy or reading. Don’t delay – download today – your kids will love it!